will advance to the 2014 Junior World Championship later this year. 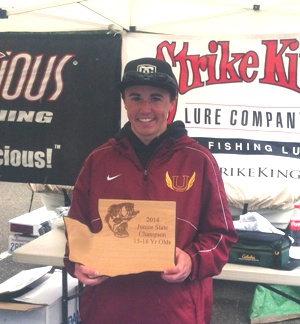 Lake Sammamish was the site for the annual junior state championship. A big thanks goes out to the boaters who stepped up, gave up a day to make the youth event a big success. 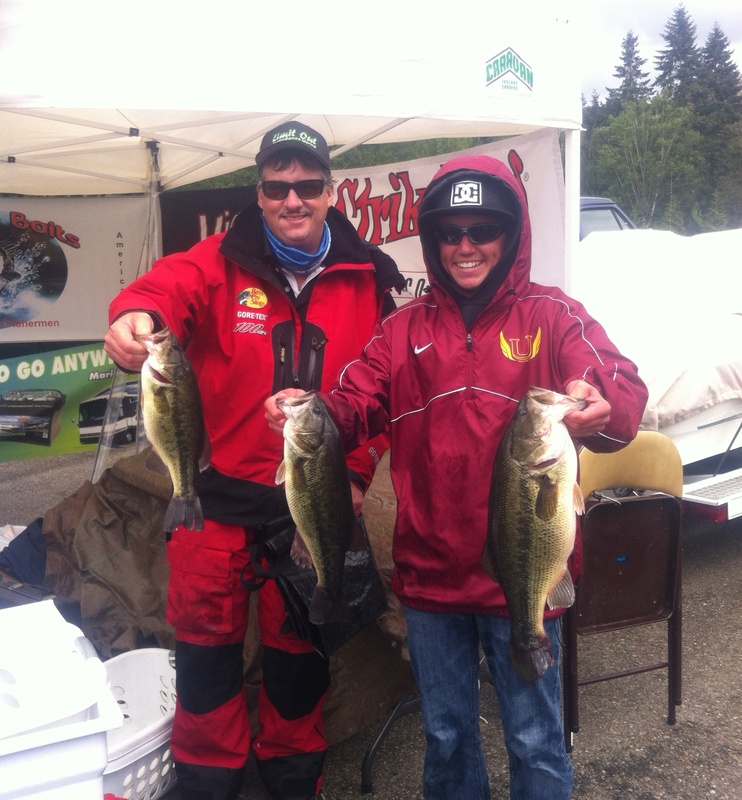 Brandon Huff, Jeff Jackson, Gary Scroggins, President Russ Baker, and Vice President/ Tournament Director Keith Brooks who is always giving his time and help as weigh master to make things run smooth. The weather was a mixed bag with rainsqualls and wind throughout the day and sun breaks in between fronts. 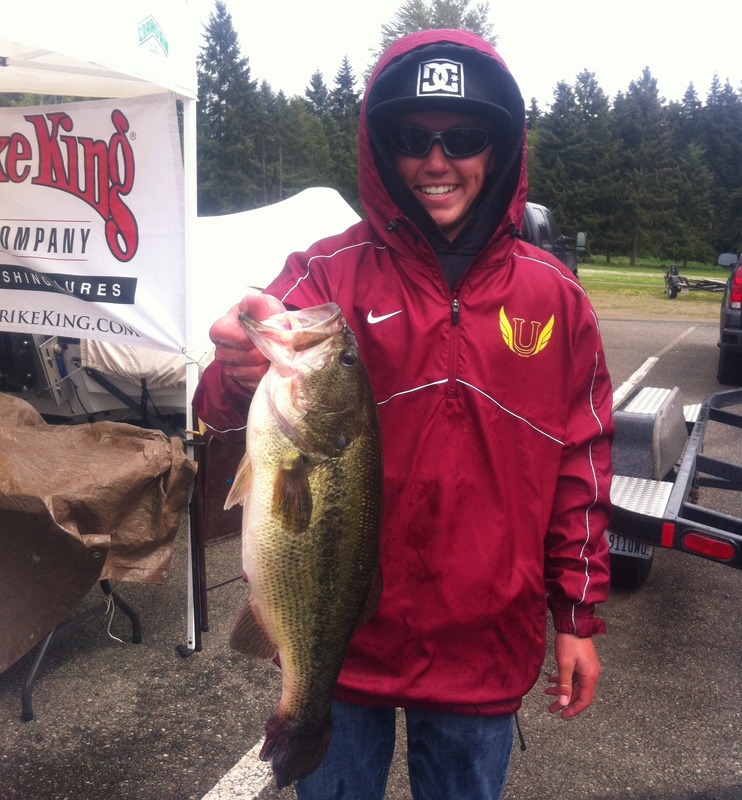 Lake temperatures indicated the fish were moving shallow for the spawn but were not on beds yet. 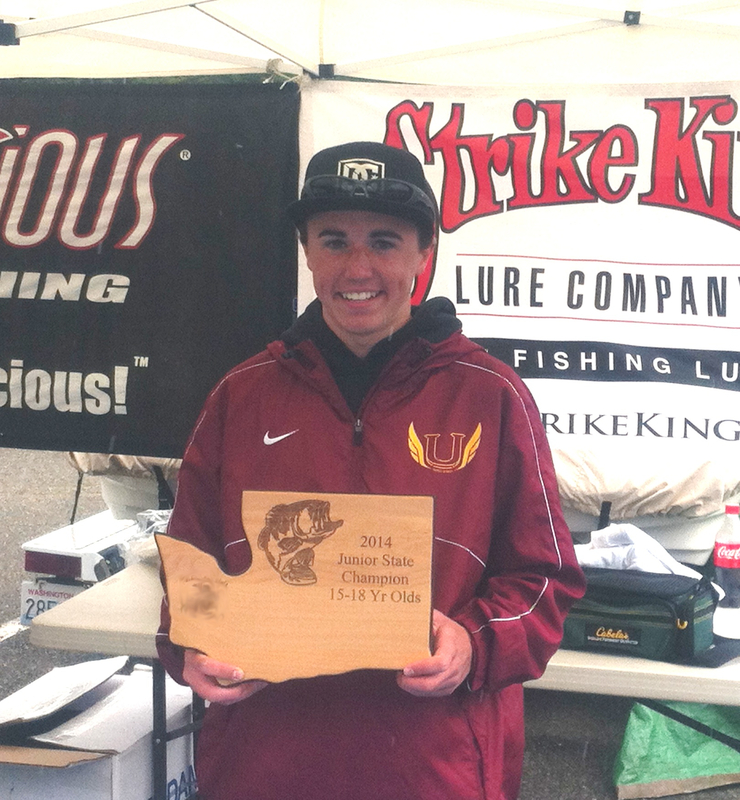 Nathan Portch of Spokane was this year’s 15-18 year old age group winner, bringing in a five fish limit of largemouth with a kicker fish of 5.31 lbs that was big fish of the tournament. 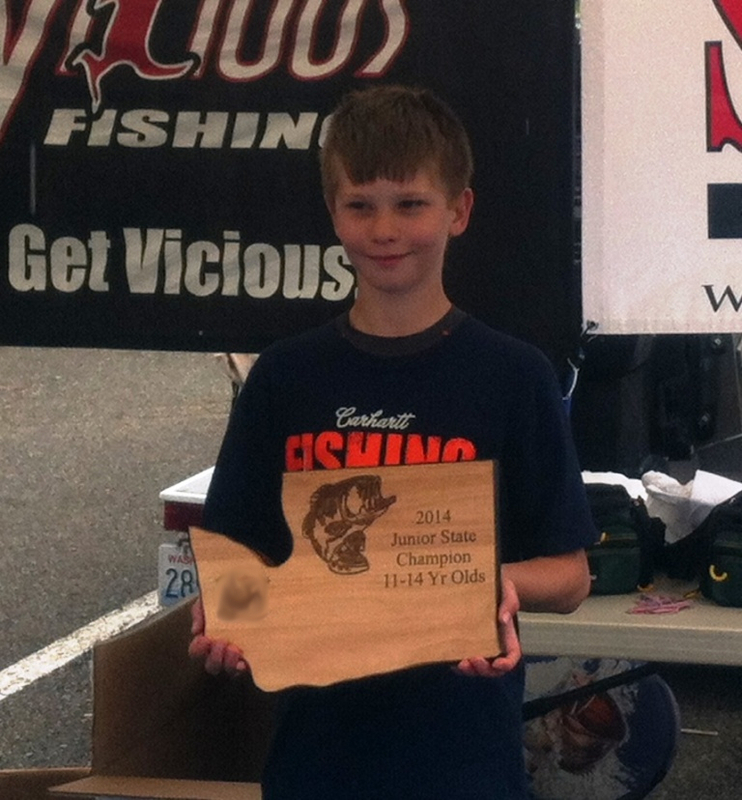 A total weight of 15.02 lbs for first place. 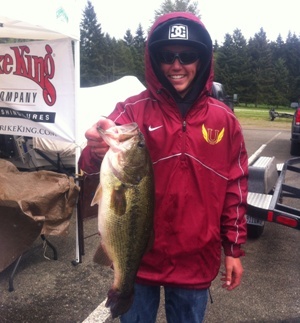 Cully Scroggins of Longview, Washington seemed to have the best bag of fish with his four fish limit of 10.25 lbs and a big fish of 5.21 lbs until Nathan made his way to the scale. 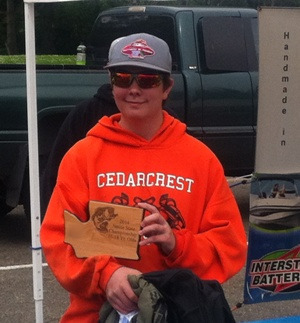 Followed by third place winner Austin Zetty of Duvall with five fish and a total weight of 9.45 lbs. 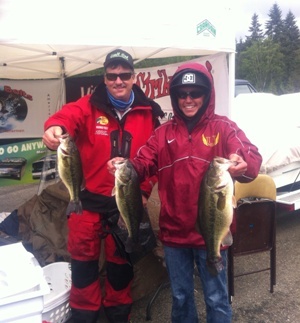 Nathan and Austin Zetty who fished from the same boat started their day off working spinner baits over the shallow pads and wood, both hooked nice fish early and with that success continued with that pattern most of the day. Both battled back and forth to bring in five fish each with Nathan topping the scale at the end of the day to win. 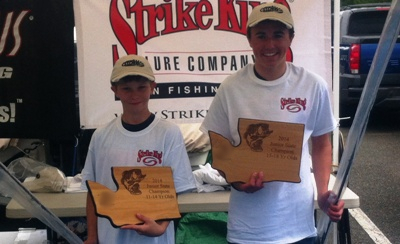 In the 11-14 year old age group we started off with just two competitors, they battled back and forth all day, each bringing in two fish to the scales. 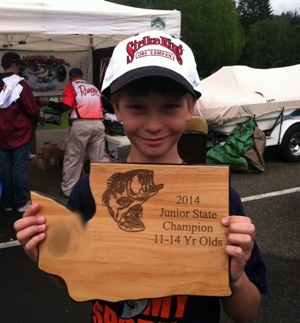 Both had lots of bites with Carson catching a variety of fish, a carp, a perch and small mouth while fishing a hulla grub around docks most of the day, each brought two small mouth to the scales. 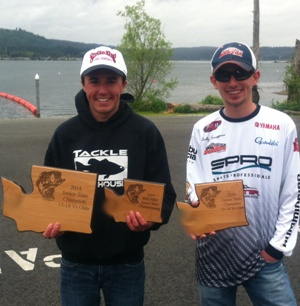 With ounces separating the winner Carson Yancey of Kent came out on top with a total weight of 3.61 lbs, Trevor Huff was a close second with a total weight of 3.55 lbs. Both will be headed to North Carolina this August to represent Washington State Bass Federation in the Junior World Championships, good luck.